We spent months planning and anticipating our first WordCamp. And not just any WordCamp, but WordCamp U.S. 2015 in Philadelphia, PA—the country’s largest WordCamp of the year. We wanted to make a good first impression. What would WordPressers think of us? Would they like us? Really, really like us? Well, we are super excited to report that not only did WordCamp U.S. 2015 knock our socks off in size and overall happiness but WordPressers—a shout out to you, one of the greatest groups of people we’ve ever met! Since our flight from Phoenix didn’t land in time, we had to push setup to Friday morning. We were a little hesitant about the time crunch, but with the help of all the amazing WordCamp volunteers, we were ready with time to spare. As WordPressers started to fill the Philadelphia Convention Center, things really got going. The vibe within the halls was laid back, but electric, all at the same time. Attendees began to stop by our table to introduce themselves and say hi, for information and of course… swag. We got to share all the great things about our company and services, basically all things website security. And with the help of one of our valued partners, GoDaddy, we officially launched our new SiteLock Plugin for WordPress, which allows users to manage all their SiteLock services from within WordPress! Outside of getting to know the attendees, meeting other sponsors was great fun, too. We set up shop between our partner BlueHost, which had the coolest T-shirts and SiteGround, which had one of the most unique ways of entering a drawing we’ve ever seen. We, of course, stopped by and talked with GoDaddy and our other partners, like Media Temple. Last, but certainly not least, we launched our new WordPress website, WPDistrict.SiteLock.com and soft-launched our Secure Your Word™ campaign which highlights our ability to protect your WordPress website, allowing you to focus on what’s most important—your business, your passion, your word. There’ll be more on Secure Your Word in the coming months! 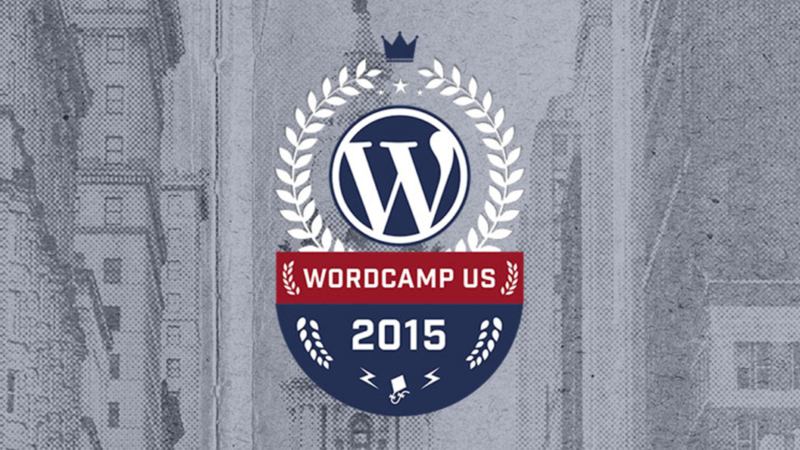 We cannot thank WordCamp U.S. 2015, including the organizers and volunteers, enough. We also are so appreciative of the staff at the Philadelphia Convention Center and FedEx. We couldn’t have pulled off such an amazing and successful show without you. It was a lot of work, but even more fun. We can’t wait for our next WordCamp and are committed to posting about all our experiences right here.